Hi All!! Welcome back to Film Fashion Friday! 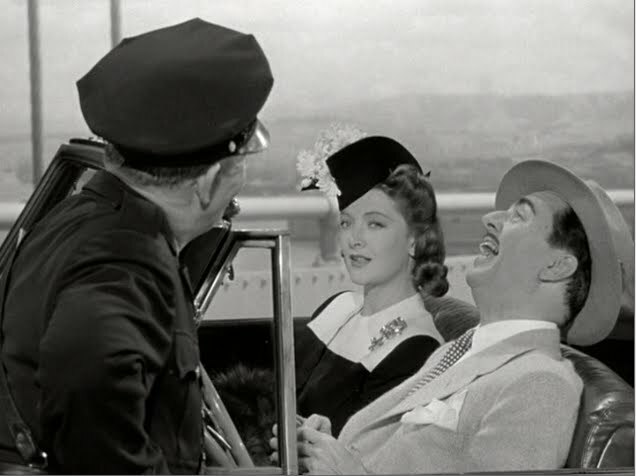 My selection for this week is not one film, but six: The Thin Man Series. I recently acquired the box set and finally got to enjoy watching all films in the correct order. I had only seen four out of the six, so it was a real treat to be able to sit down and watch all six! 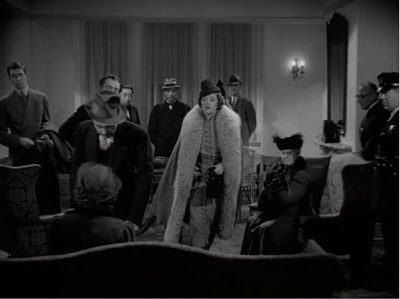 I know a lot of bloggers have made note of the striped gown Myrna Loy wears in the first film, and while that gown is a gem, I feel that this series stands out as a whole for its keen sense of style through the character of Nora. What I love about Nora is that even know she comes from a wealthy family, she isn't afraid to get dirty and solve mysteries with her husband, Nick. 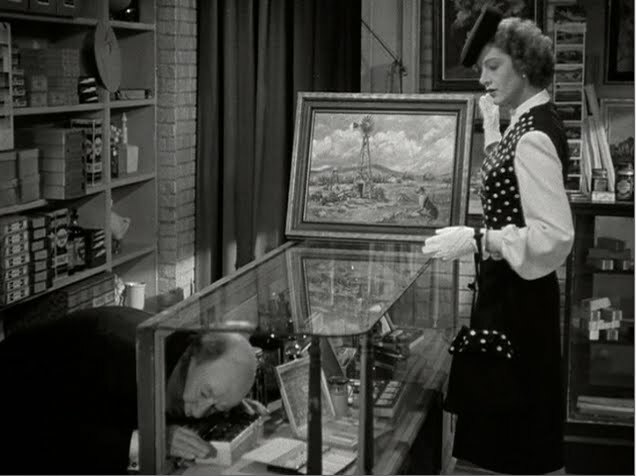 I also love all the wonderful head-wear Nora sports throughout the entire span of the six films. And, I also love how all of her outfits -- from sleepwear to daywear -- are complete. Now Nora is a gal who knows how to accessorize well without over doing it. 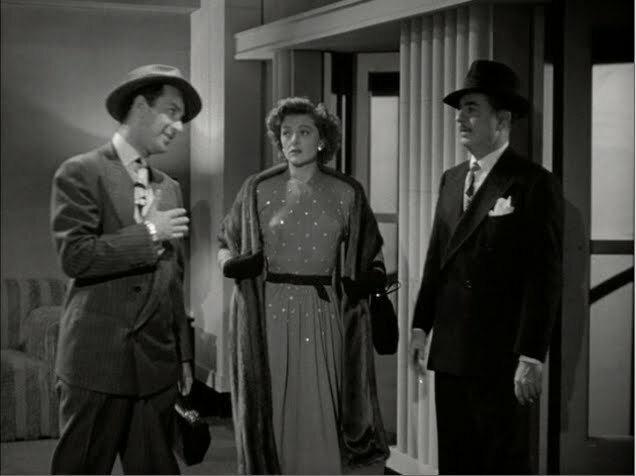 The forth film's costumes (gowns) were done by Robert Kalloch. Kalloch had his hand in many of the great films from the classical period, including Mr. Smith Goes to Washington, His Girl Friday, and Twentieth Century. Kalloch really knew how to make lovely gowns that would flatter his leading lady. The last two films feature the work of Irene, who I seem to always feature. I guess she is up there with Dolly Tree when it comes to my tastes in old Hollywood fashion. I highly recommend this week's selections not only for the spectacular eye candy, but also because the films themselves are actually really well put together too. Some are better than others, but they all feature the same gimmicks that the first set up. It's fun to watch for them! All six films are on DVD and available through Netflix. More film fashion inspiration coming up next week! As always, requests are always welcomed! My absolute favorite series of films! 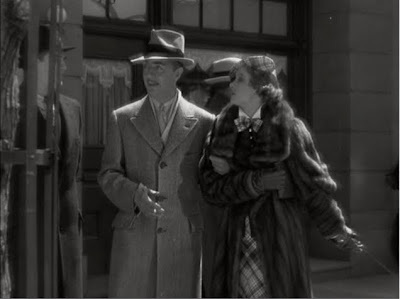 The fashions, the fun, the fashions, Myrna Loy's sense of style, and the dreamboat William Powell:) Asta was also an essential part of the films, but needed no fashion to carry off his role. Hope to get the boxed set soon, I am always afraid someone will erase the movies from our DVR! thanks ms. emily for the classic movie recs. i'm learning so much from your terrific blog. These movies are so great. 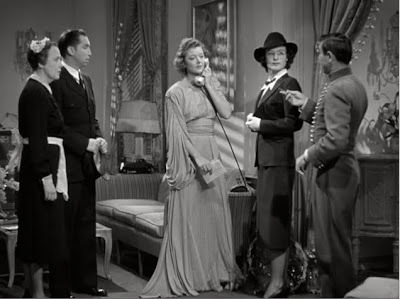 Myrna Loy's style is perfection. I have only seen the first two, so I need to watch the rest! I agree - these are my favorite films - and the costumes and sets are to die for! Every time I see any of these I discover some new visual treat! Thanks for sharing.